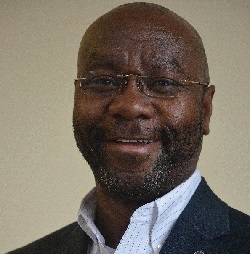 On November 7, 2017, Wilmot Collins, a former Liberian refugee, was elected as Helena, Montana’s first African-American mayor since the Montana capital city became an incorporated town. Collins’ victory was internationally newsworthy. Montana, the least black state in America, had elected the first black person to become a mayor in any of its cities since it became a state in 1889. A first-time candidate had unseated a 16 year incumbent. A former refugee, from one of the world’s poorest countries, was elected to lead the capital city of an American state. All this would happen at a time when refugees were internationally perceived more as civic leeches than civic leaders. As the world watched with wonder, refugees and immigrants watched with anxious hope. Many wanted to know who Wilmot Collins was. Collins escaped the Liberian civil war and sought refuge in Ghana and then in the United States. Academically, Collins holds bachelor’s degrees in political science and sociology, a master’s degree in human services, and is working on his doctorate in forensic psychology. Professionally, he is a Child Protection Specialist with the Montana Department of Health and Human Services and an Adjunct Instructor at the University of Montana, Helena College. He has also worked as an Administrative Officer for Facility Management, a Public Affairs Specialist, and a Minority Veterans Program Coordinator at Veterans Affairs Montana. An avid advocate for refugee and immigration matters, Collins is actively engaged on the Boards of Lutheran Immigration and Refugee Service and Montana Immigrant Justice Alliance. Collins recently retired from the U.S. Navy Reserves, after 22 years of service. Collins’ role as the mayor of Helena, Montana — a city with just over half of a percent of its population black and one and a half of its population foreign born — loudly speaks to our hearts. Helena is not just a place known for its outdoor recreational activities or a now removed Confederate monument fountain. It is a place of acceptance and tolerance, a place where a refugee can raise a family and own a home across from the school where he once worked as a janitor, and a place where its citizens prioritize issues affecting them over race and national origin. Remarkably, Helena’s mayor beautifully embodies what Helena represents. Mr. Stephen D. Cashin is the founder and CEO of Pan African Capital Group (PACG). Established in 2004, PACG focuses on three key areas; investment banking and advisory services, asset management, and private equity throughout Africa. PACG has a portfolio of investments primarily in West Africa, with a significant focus in financial services. PACG also advises US and international companies on investments in the infrastructure, natural resources and other areas across the continent. Mr. Cashin founded and served as Managing Director and head of the Washington Office of Modern Africa Fund Managers, LLC from 1998 until 2004. He was responsible for identifying the majority of the investors in Modern Africa Growth and Investment Company LLC, a $105 million fund capitalized by private institutional investors and leveraged with the support of the U.S. Overseas Private Investment Corporation. Mr. Cashin was integrally involved in identifying and structuring Modern Africa’s investments and management of the portfolio. Mr. Cashin serves on the boards of International Bank (Liberia) Limited, one of the strongest and oldest bank in Liberia; DataBank, an investment banking group based in Ghana; Feronia Inc, an agricultural business listed on the Toronto Stock Exchange and engaged in acquiring and consolidating farm land and operations in Africa; DiscoveryTel, a communications company carrying traffic into and out of Africa from the US.Mr. Cashin serves on the Board of Visitors of Georgetown University’s School of Foreign Service. He serves on the boards of Africare, Better Way Foundation, and the Jesuit Refugee Service/USA. Mr. Cashin also served on the board of the Corporate Council on Africa as Vice Chair in 2007 and as a board member from 1999 to 2007; and the African Wildlife Foundation as Chair of the Finance Committee from 2005 to 2008. He is also a member of the Trade Advisory Committee on Africa (TACA), the Council on Foreign Relations and the Bretton Woods Committee. He was a senior fellow at the Center for Strategic and International Studies and speaks at numerous events focused on the development of Africa’s financial markets. He has participated in numerous initiatives focused on generating growth in the African Markets. Mr. Cashin was born in Africa and began his career as a Peace Corps volunteer from 1979-1981 in Zanzibar, Tanzania. He graduated from the School of Foreign Service at Georgetown University and has his MBA from Boston College. Dinisa Hardley Folmar began her legal career as an Examiner at the United States Patent and Trademark Office (USPTO), where she specialized in reviewing trademark applications in the areas of cosmetics, periodicals and games & playthings. After a couple of years at the USPTO, she joined one of the oldest minority law firms in Atlanta, Georgia and served as outside counsel to The Coca-Cola Company, assisting the company with a variety of trademark issues arising in the U.S., Asia and Latin America. Dinisa was also an Associate at two AmLaw 100 law firms in Washington, DC and assisted Fortune companies, small businesses and individuals with various aspects of U.S. and international trademark law. In 2006, Dinisa joined The Coca-Cola Company as in-house Trademark Counsel with responsibility for the company’s global trademark portfolio. In 2008, Dinisa was selected to work in the company’s Vienna, Austria office where her primary focus was on matters in Russia, the Middle East and India. In 2012, Dinisa was chosen to serve as Executive Counsel to the Office of Chief Legal Counsel. In 2013 she served as Senior Trademark Counsel for the Africa, Middle East and Eurasia, serving in Dubai, United Arab Emirates. Dinisa currently serves as Assistant General Counsel, Trademarks & Copyrights for Nike. She has published articles on the topics of dilution and counterfeiting and has spoken on panels in the U.S. and abroad focusing on pipeline concerns for minorities in the IP field, as well as numerous trademark specific issues. Dinisa is passionately committed to mentoring minorities and sharing her inspirational story to illustrate the possibilities perseverance yields. Dinisa received her undergraduate degree from the University of Louisiana at Monroe and her law degree from the Southern University Law Center in Baton Rouge, Louisiana. 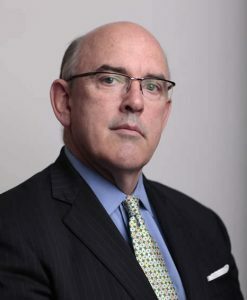 Mr. Alexander Benedict Cummings, also known as Alex, Jr., served as Chief Administrative Officer of the Coca-Cola Company from July 1, 2008 to March 31, 2016 and as its Executive Vice President from July 2002 to March 31, 2016. Mr. Cummings served as the President of Africa Group of Coca-Cola Company from March 2001 to June 2008 and as its Chief Operating Officer of Africa Group since July 2002. He served as an Executive Vice President of Coca-Cola Company since July 2002. He joined Coca Cola Co. in 1997 as Deputy Region Manager, Nigeria based in Lagos, Nigeria and Managing Director/Region Manager, Nigeria since 1998. Since 2000, he served as the President of Coca-cola Co’s North and West Africa Division, responsible for the North African countries of Tunisia, Morocco and Algeria, along with all the countries of sub-Saharan West and Central Africa from Mauritania to The Democratic Republic of Congo. He started his career in 1982 with The Pillsbury Company and held various positions within Pillsbury, his last position being Vice President of Finance for all of Pillsbury’s international businesses. He serves as the Chairman of Coca-Cola Africa Foundation, which works to support health and education across Africa. He has been a Non Executive Director at Coca-Cola Bottling Co. Consolidated since March 9, 2010. He serves as a Director of S. C. Johnson & Son, Inc. He serves as a Board Member of the Africa-America Institute, Africare, the Corporate Council on Africa, Clarke Atlanta University and the U.S.-Egypt Business Council. He serves on the Advisory Board at The African Presidential Archives & Research Center. He served as an Independent Director of Chevron Corporation since December 10, 2014 until April 27, 2016. He also serves on the Center for Global Development’s Commission on U.S. Policy toward Low-Income Poorly Performing States (LIPPS) and formerly served as a Board Member of the Sabathani Community Center in Minneapolis, MN, U.S.A. He served as a Director of Coca-Cola Hellenic Bottling Company from September 13, 2006 to December 9, 2010. He served as a Director of International Bank (Liberia) Limited. Mr. Cummings holds a BS degree in Finance and Economics from North Illinois University and an MBA in Finance from Atlanta University. Liberian born Judge Melvin “Action” Johnson relocated to the U.S. at the age of thirteen to further his studies. He completed high school with honors at age sixteen and matriculated into college. By age seventeen Judge Johnson found himself without a reliable support network. He sometimes slept in a car and showered at friends’ homes. He worked up to three jobs at times to pay for his college tuition and expenses. Former Chancellor, Dr. Carl Patton, during a Georgia State University commencement, honored Judge Johnson for his commitment, his determination, and his successful attainment of a U.S. Patent. Once Judge Johnson received his “Green Card,” he decided to fulfill his lifetime dream of becoming a lawyer—a dream that began from childhood when he watched the Paramount Chiefs, judge cases. In 2000, Judge Johnson completed law school and embarked on his noteworthy career in law. Judge Johnson’s professional experience expands the scope of private and governmental entities. He worked at Kilpatrick Stockton LLC Law firm, Sutherland Asbill & Brennen LLC Law firm, The Internal Revenue Service Litigation Department, The Georgia State University Tax Clinic, The Rockdale County Public Defender’s Office, KPMG Tax Consultants, Long & Heard, LLC Law firm before beginning his successful law practice. In 2008, Judge Johnson was selected to serve as Lithonia, Georgia’s first black Judge. At 35 years old, he was the youngest and first African-born to serve as Chief Judge within the city’s 152 year history. Currently, Judge Johnson serves the city of Atlanta as a Judge. Judge Johnson also gives back to the community through Liberians Integrated For Excellence (LIFE), a mentorship program exposing youths to various areas of the legal and educational systems and providing educational resources to youths and young adults. He is passionate about his faith, family, law, and community.